Drop In to talk to Joanne about how much your energy is costing you, support with communicating with your providers, and talking about how you use energy. 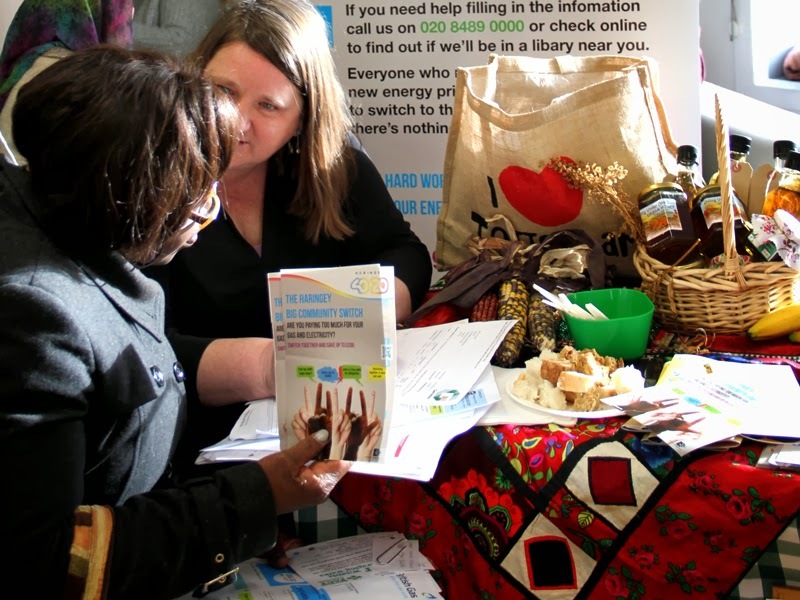 Living Under One Sun brings the community an innovative approach to saving money on gas and electricity bills through advice on a collective action advice on reducing energy costs: The Haringey Big Community Switch. We set up the project in April 2013 and have worked with people to develop their financial management skills and find ways to reduce energy costs. When you register for The Haringey Big Community Switch, you can compare the price you are paying now with an alternative. The Collective Switching project aims to reduce energy prices through a ‘reverse auction’. The more people who register to switch, the better the deal is likely to be and the cost for gas and electricity may be reduced for everyone. There is no obligation to switch. Our first Big Switch took place in April 2013. Over 160,000 people signed-up across the UK! In the community Joanne Barrett holds workshops for community groups, schools, faith groups, in sheltered accommodation, and for resident groups, and at events. We work in partnerships with organisations such as Homes for Haringey, Manor House PACT and Quaker Social Action. Please contact Joanne Barrett at Living Under One Sun to find out more. We are always interested in training volunteers: please contact us to find out more.